A top Federal Communications Commission official is putting pressure on her colleagues to end their silence amid President Trump's threats against TV networks that are critical of his administration. 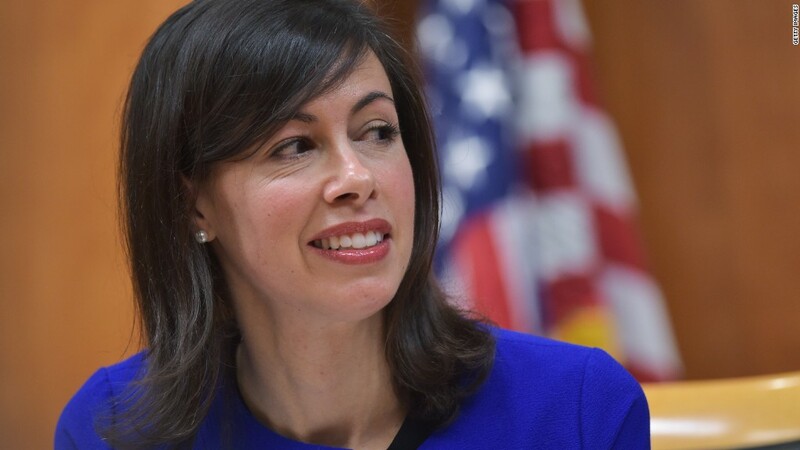 Democratic commissioner Jessica Rosenworcel, who was first appointed by President Obama and brought back to the commission by Trump, said the FCC should make it very clear that the agency will not revoke licenses simply because Trump does not like their coverage. "History won't be kind to silence," Rosenworcel, who is one of five FCC commissioners, told CNN's Brian Stelter on "Reliable Sources" Sunday. "I think it's important for all the commissioners to make clear that they support the First Amendment, and that the agency will not revoke a broadcast license simply because the president is dissatisfied with the licensee's coverage." Trump lit a fire under First Amendment proponents last week when he called NBC a partisan institution whose licenses should be "challenged and, if appropriate, revoked." NBC, like many news outlets, has aggressively reported on story lines that are critical of the president. It's fueled Trump's critiques of the press and prompted him to brand truthful stories about his presidency "fake news." The story that sparked Trump's ire toward NBC said the president privately told some of his cabinet members that he wants to significantly bolster the U.S.'s nuclear stockpile. It cited three unnamed sources that attended the meeting. Trump said the story was inaccurate and suggested in a series of tweets last Wednesday that NBC's license should be reassessed. Critics quickly pointed out that there is no single license for NBC -- or any other national television network for that matter. Rather, individual local stations procure licenses to broadcast NBC's content. Those licenses are reviewed by the FCC every eight years. It is extremely unusual for licenses to be revoked. After Trump's comments last week, many expected Trump-appointed FCC chairman Ajit Pai to reject the notion that the agency would deny licenses to fulfill a political vendetta. But Pai has yet to speak publicly on the issue. Tom Wheeler, the Obama-era FCC chairman, called Pai's silence "shocking." Pai "is making himself complicit in the coercion that the president was engaging in," said Wheeler, also appearing on "Reliable Sources." "[Trump] was trying to send a message to broadcasters saying, 'We're watching, and we control your right to be alive," Wheeler said.